On the occasion of his trade visit to Central America, the director of Cimera Applied Research meets with the Inter-American Development Bank in Guatemala. 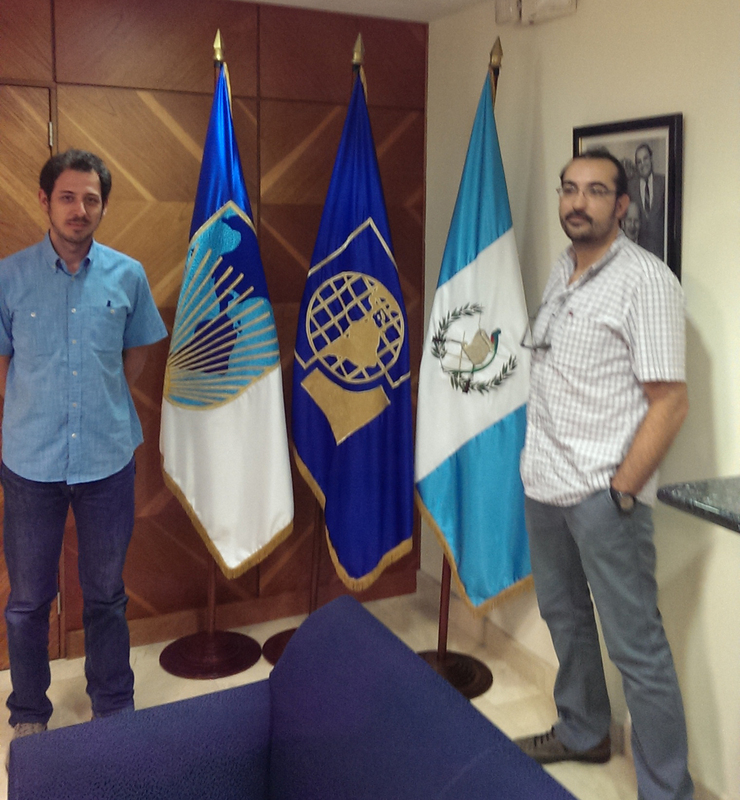 The directors of Cimera Applied Research, José Miguel Rodríguez and Santiago Robles, travelled to Guatemala over the last week with the aim of exploring the Guatemalan market in depth and to assess the possibility of developing their international activity in the areas of environment and water management there. In an exclusive interview with Mr. Pablo Roldán, representative of the Inter American Development Bank in Guatemala, the Cimera Directors transmitted their first impressions of the country, as well as the reasons why the company is considering Guatemala as one of the target countries in which to continue developing their activity. This meeting, marked in a series of trade visits by Cimera to this country, confirms Guatemala as a relevant trade environment, with numerous opportunities for the development of projects within the environmental framework and water management. By means of this document, Cimera thanks Mr. Pablo Roldán for the treatment received during the reception, as well as the opportunity to gather information on the country.